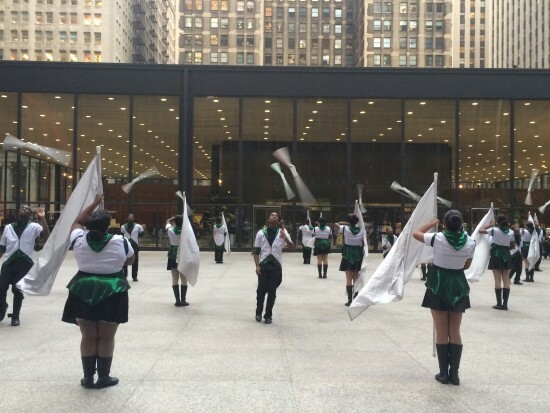 Performance has been the breakout surprise of the Chicago Architecture Biennial. While many of the works inside the Chicago Cultural Center grapple with issues of urbanism, politics, and the resonances of Modernism (especially Mies’ oversized presence in the city) in contemporary culture, the three performances included in the opening weekend program address and embody what is at stake. 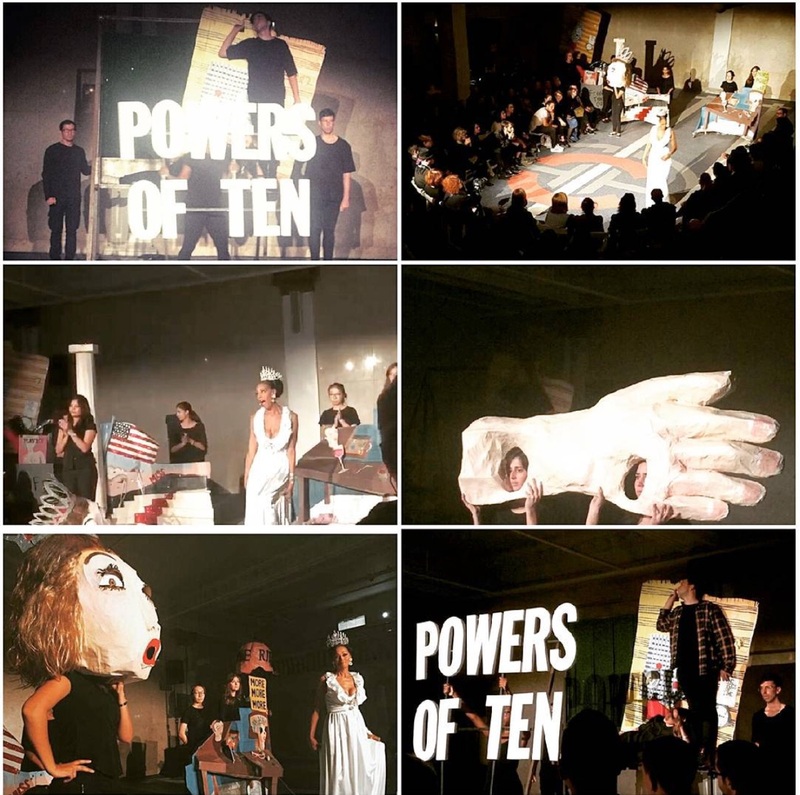 Superpowers of Ten by Madrid/New York-based architect Andrés Jaque and his Office for Political Innovation, developed for and first performed at the Lisbon Architecture Triennial 2013, uses pop, oversized props and black-clad performers to restage of the Eames’ icon Powers of Ten. The original film was filmed on the banks of Lake Michigan, not far from the Chicago Athletic Club where it was performed. Jaque’s reworking expands the Eames narrative to our contemporary condition. The exponential zooming out from Earth and then back into the heart of the atom now includes critical questions of space junk, nuclear fallout, immigration, race, queerness, and transgender identity. In a gallery the unorthodox mix of para-architectural issues might seem ponderous, but told through pantomime, they resonate visually and emotionally. 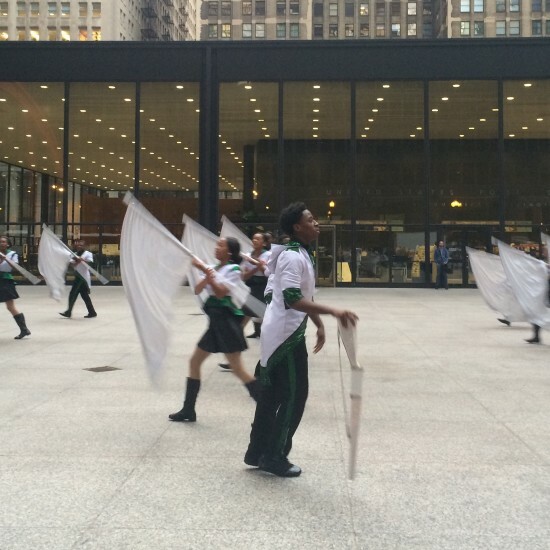 We Know How to Order, conceived by Bryony Roberts, and choreographed by Asher Waldron of the South Shore Drill Team powerfully superimposes the movement of African American bodies in space on top of the charged site of Federal Center by Mies van der Rohe. The South Shore Drill Team, hailing from one of the poorest neighborhoods in Chicago, trains young people to master the precise choreography. On the plaza, while the performers mimicked the lines of Mies’ architecture, which underscoring the conditions of universal space into the public realm, they also brought joy and dynamism to the windswept public space. Even stalwarts of the architecture community were moved to tap their feet and wipe their eyes. Performed in Mies’ super spare Carr Chapel on the IIT campus, Theatre by Mexican artist Santiago Borja brought a different kind of otherness to the Miesian space of worship. 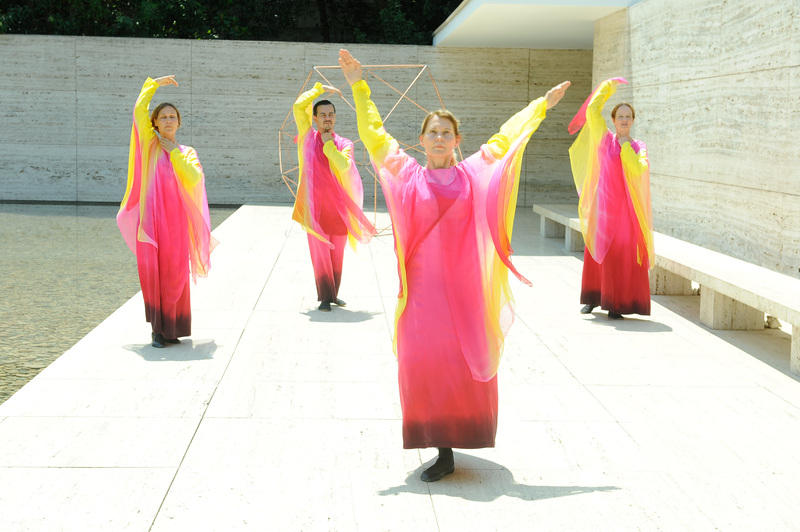 The performance was set with two specially-designed petate rugs, woven in Mexico, that represent esoteric geometries developed in Europe at the start of the modern movement. 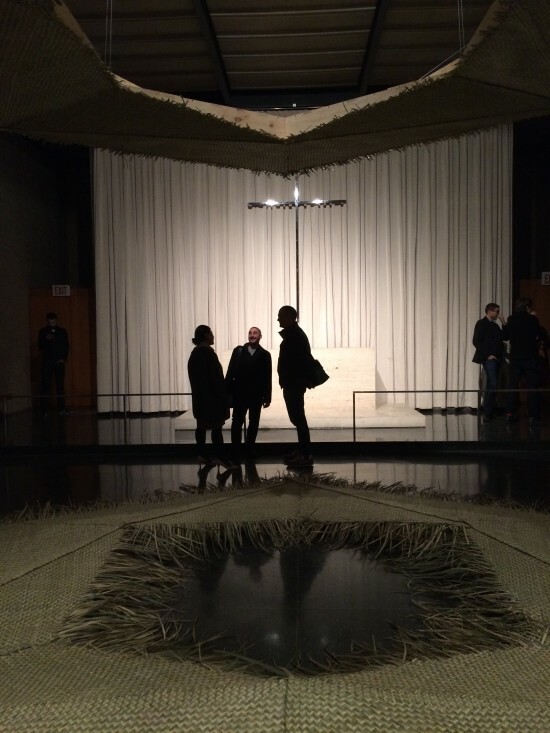 Made out of palm leaves, one rug sits on the floor and the other hangs above, demarking what is not so much a stage as an abstract spiritual space for Ingrid Everwijn, the lead teacher of the Eurythmeum CH in Dornach Switzerland. Dressed in pink and yellow dress, Everwijn performed eurythmy movements—a kind of “spiritual gymnastics” developed by Rudolf Steiner and Marie Sivers in early 20th Century. The result was mystical, irrational, and energetic, as well as an immersive experience that undermined the rigors of Miesian abstraction.